The new TaylorMade SLDR Driver will make you even longer than before with explosive distance and control. The easy and intuitive SLDR sliding weight technology allows golfers to tune their driver with 21 different weight positions for optimum ball flight. TaylorMade SLDR driver features a lower CG that is positioned forward in the club head for a high launch/low spin combo that has never been seen before in golf. The modern shape and charcoal-gray crown make for easy alignment and more confidence off the tee. TaylorMade SLDR driver allows you to adjust the loft 1.5º to customize it for your game. The sliding weight system is changed with the same wrench and promotes up to 30 yards of shot shaping adjustments. Take a few minutes and dial in the right setting to hit it longer and straighter than ever before. The Taylormade Drive and golf ball both can as advertized and within the expected delivery time. I love Carl's. Exceptional products at a good price and exceptional service. Was purchased as a gift. Recipient is very pleased with club. Club had a defect. Lost the set weight after two weeks of use. However Carl's was excellent to deal with. They contacted Taylor Made and a brand new club was delivered within a week. Their customer service rep gave me his private phone number and was very supportive. 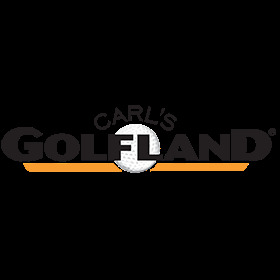 I would recommend using Carl's for my next golf purchase.